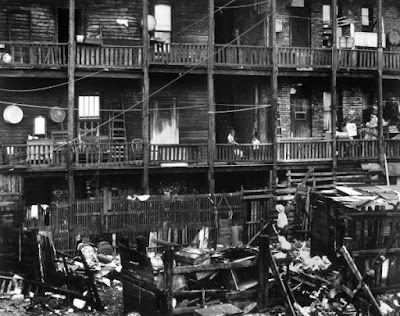 July 17, 1881 – The Chicago Daily Tribune prints the report of William H. Genung, the chief tenement house inspector, who provides figures on the work of his department during the preceding week. The report gives some idea of the size of the problem with which the city is faced as 180 houses are inspected, containing 2,086 rooms, inhabited by 559 families, consisting of 2,550 people. Small pox will claim the lives of 1,181 people in the last months of this year, and the city is hard at work to eliminate the conditions that foster the disease. 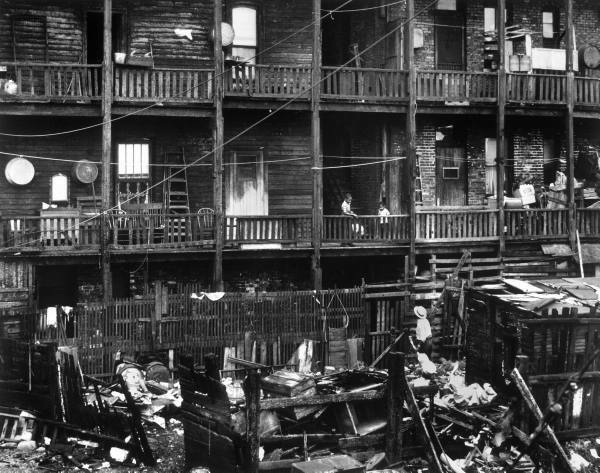 In the Second Ward that today encompasses the east side of the Loop, part of the Gold Coast, and Streeterville, tenement houses such as the one Genung’s department inspected were places in which people lived in cramped circumstances in deplorable sanitary conditions.